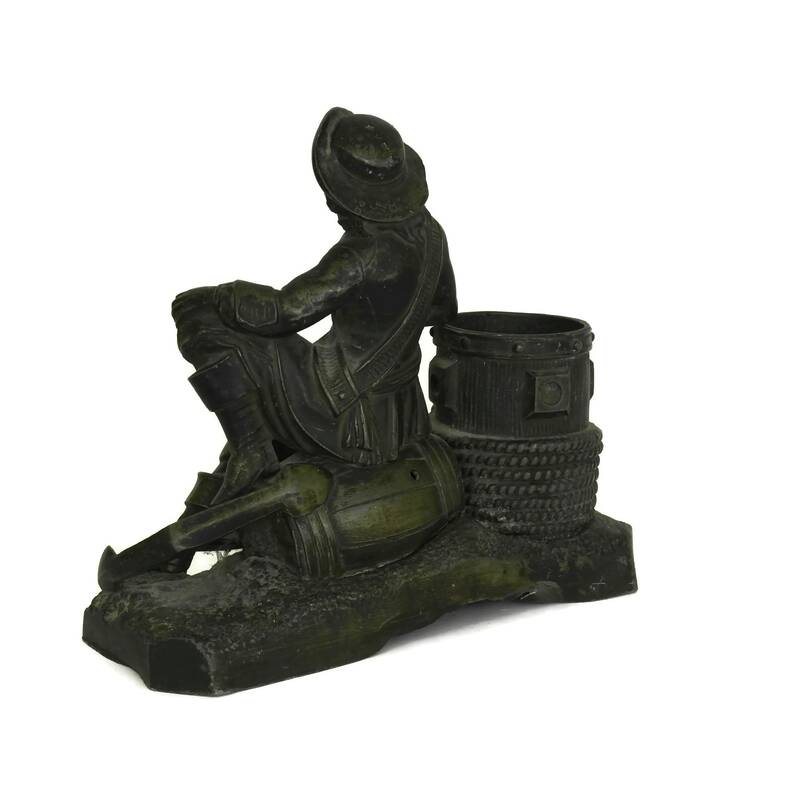 An antique French match striker and matchstick holder dating from the late 1800s. 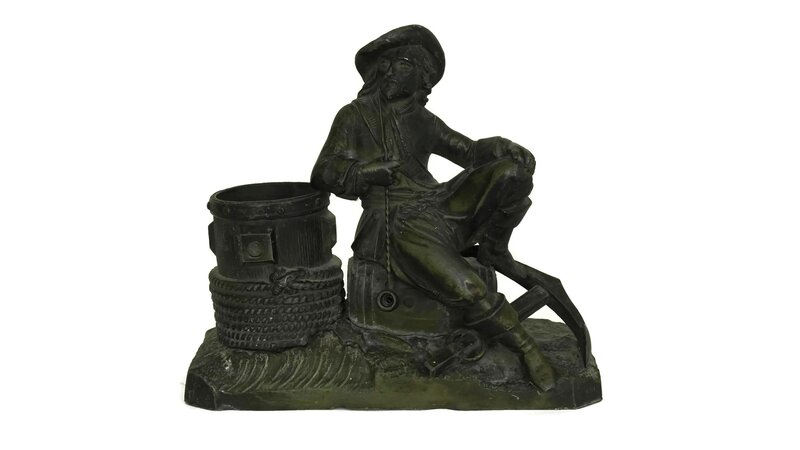 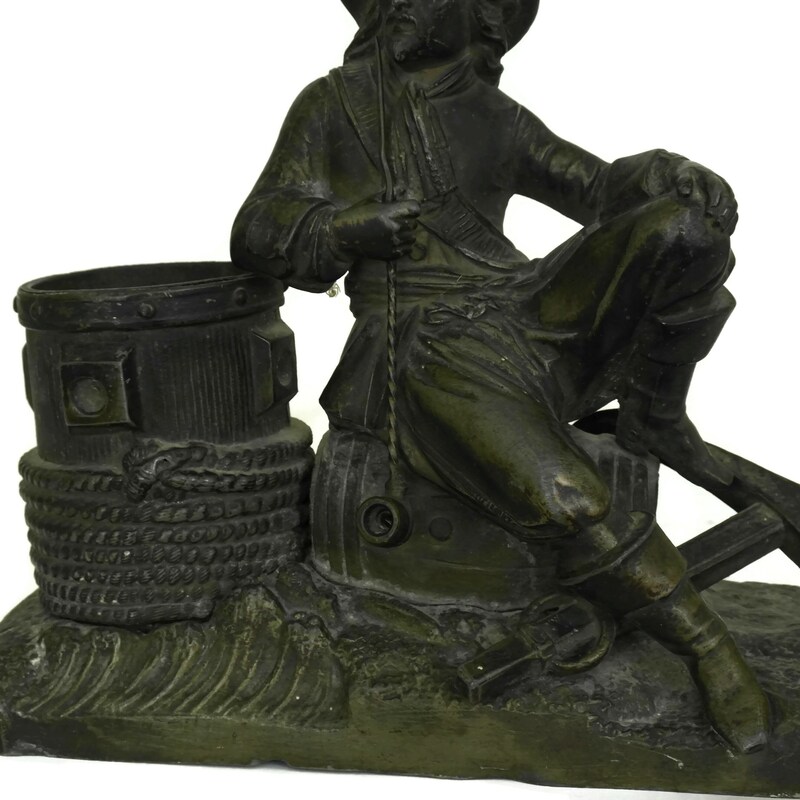 It has been cast from metal and features a pirate figurine smoking a pipe while resting against a barrel and ship's anchor. 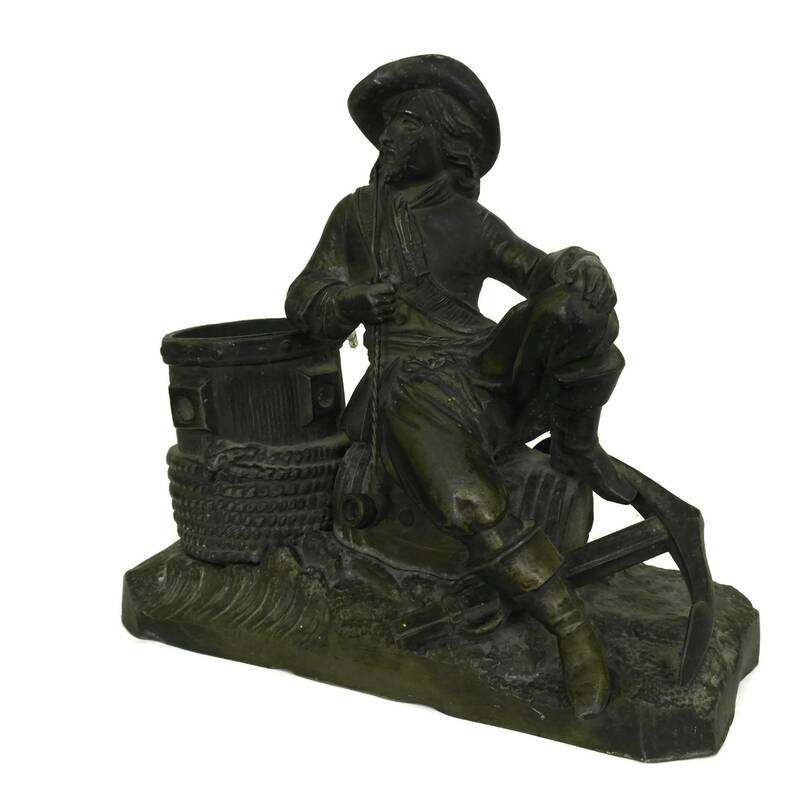 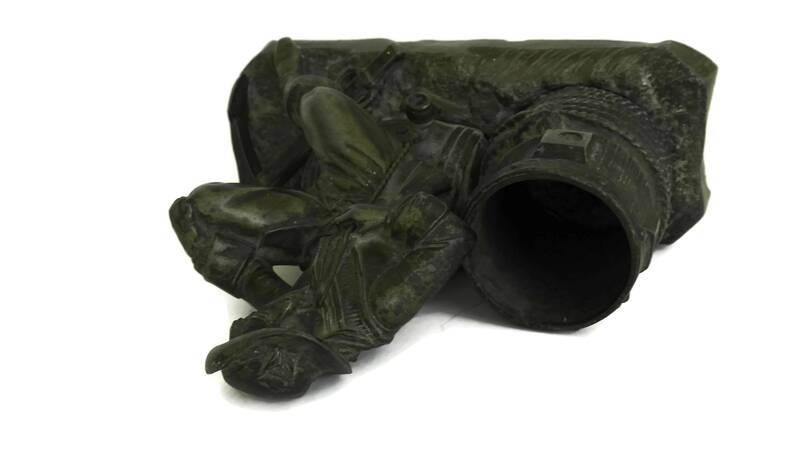 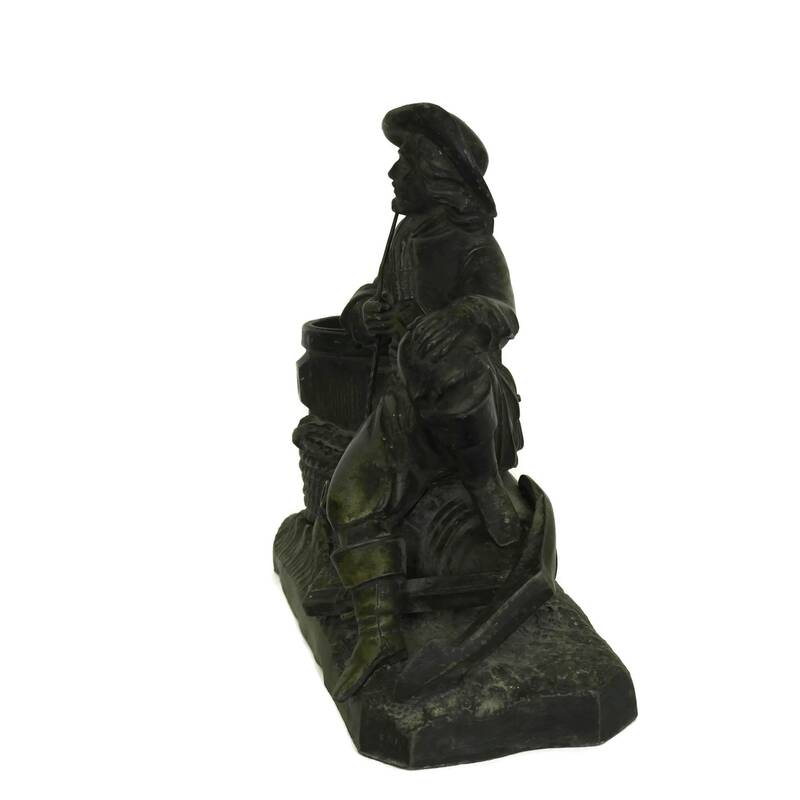 The collectible figure has been cast from spelter and decorated with an aged bronze patina. 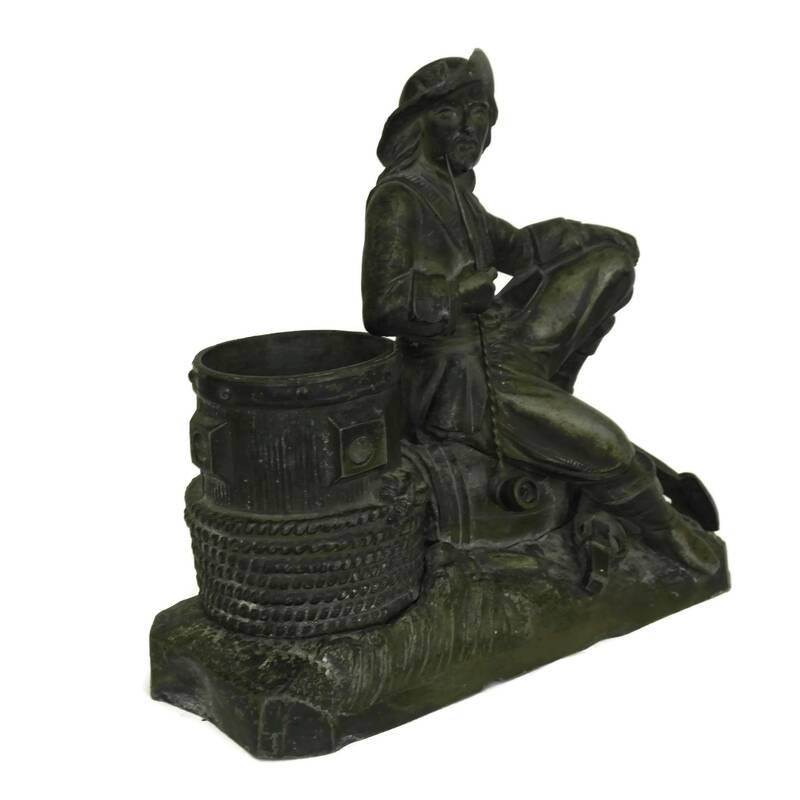 It features fine details and is filled with classic French style. 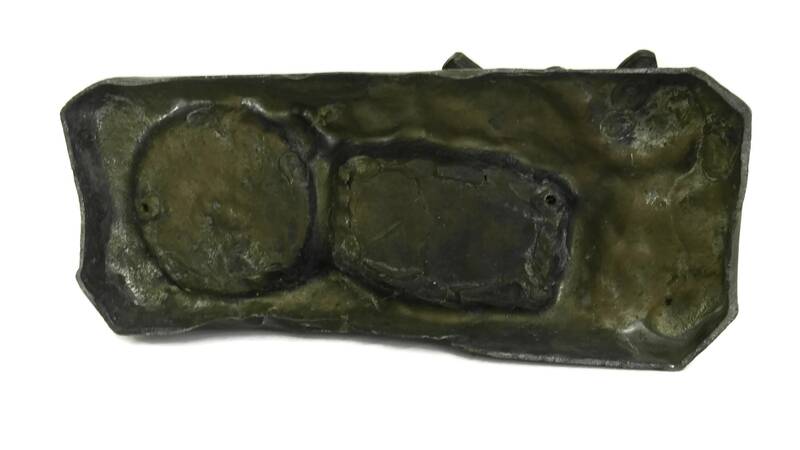 (18 cm x 18 cm). 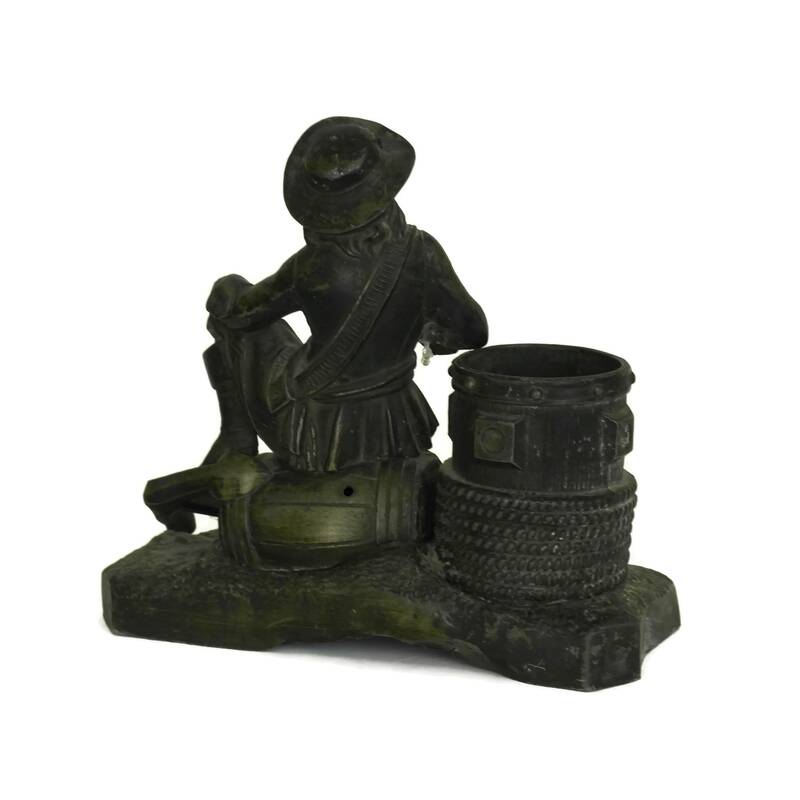 The match holder and striker is in good antique condition with patina and surface marks. 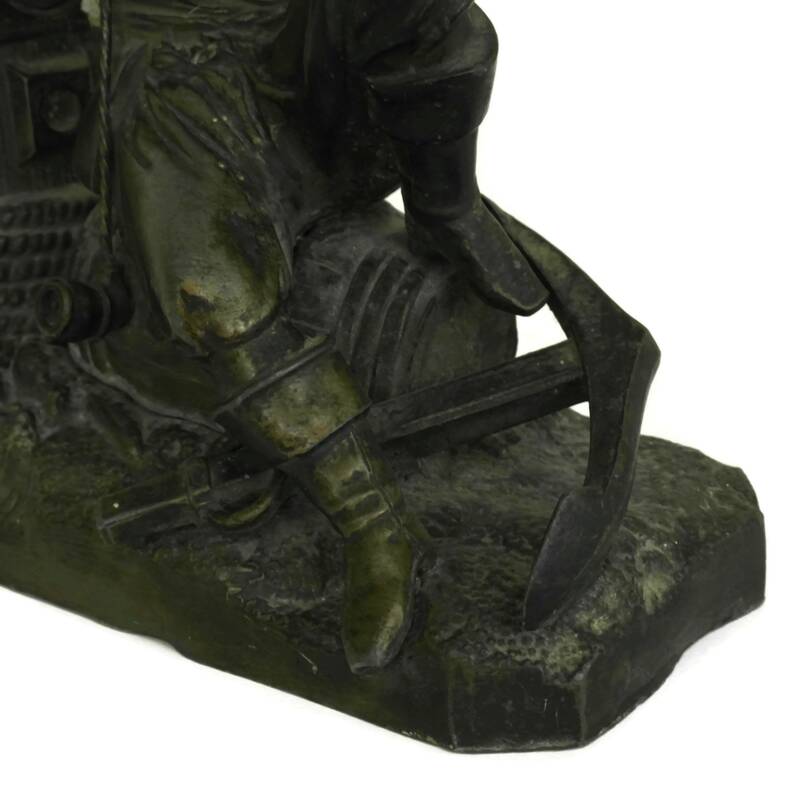 There is a small slit to the metal on the base of the back side.